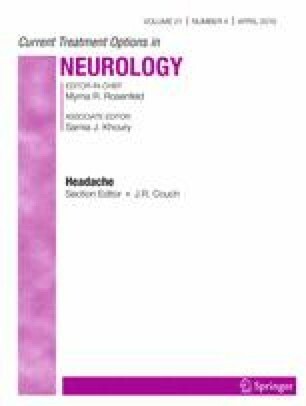 Headache is not an uncommon complaint in children, and recognition of migraine is increasing in children and adolescents. Treatment options consist of abortive and preventive medications; however, when to start the preventive treatment is not clear in the pediatric population. This article reviews current guidelines and practices to provide a better clinical approach in the management of migraines in children and adolescents. Currently, the only FDA-approved medical treatment option for preventive therapy in chronic migraine in adolescents is topiramate. However, the Childhood and Adolescent Migraine Prevention Study (CHAMP) did not endorse superiority of topiramate or amitriptyline over placebo. At this time, there is no clear consensus on when to start preventive therapy in children and adolescents with migraines. The decision is multifactorial and should be initiated after a thorough discussion with the patient and caregiver(s) about related risks and benefits of treatment. Education regarding various modalities of treatment and ensuring compliance is essential to treatment success. Mushtaq Qureshi and Ferhad Bashir each declare no potential conflicts of interest. Gregory Esper reports other from NeuroOne, Inc., outside the submitted work.